James Huguenin-Love, Ph.D., is an associate in the litigation group in Fish & Richardson’s Twin Cities office. James was previously a summer associate of the firm in the Silicon Valley office. His doctorate is in the area of electrical engineering, and his technical knowledge spans a wide range of fields within that area, including semiconductor device physics, quantum mechanics, computer programming, and communications and information theory. James also has extensive research experience and has written several articles on silicon carbide semiconductor properties and solar cell absorber materials. James has worked on standard-essential patent cases rooted in ETSI and 3GPP cellular standards, with technological areas including handovers, carrier aggregation, MIMO, and core network firmware involving TS 23.125, TS 23.203, TS 23.401, TS 25.331, TS 29.212, TS 33.102, TS 36.300, TS 36.133, TS 36.214, and TS 36.331. 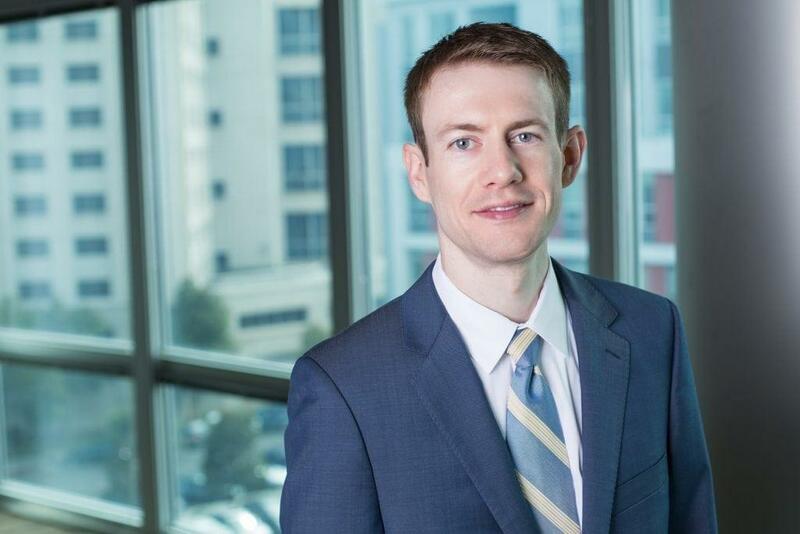 James has also worked on patent cases involving bed sheets, integrated circuit design, power supply controllers, wafer polishing, video editing, and screen scraping software. James’ experience covers multi-district litigation (MDL), involving commercial printing plate patents, where he helped successfully dismiss all active MDL cases for all defendants due to plaintiff’s lack of subject matter jurisdiction resulting from improper assignment of patent rights. James participated in the Langley Aerospace Research Student Scholars (LARSS) program at NASA studying non-invasive techniques to measure blood oxygenation levels in the brain by simulation.